Judges in the 9th US Circuit Court of Appeals upheld an earlier ruling about the copyright ramifications of selling replicas of the Batmobile. 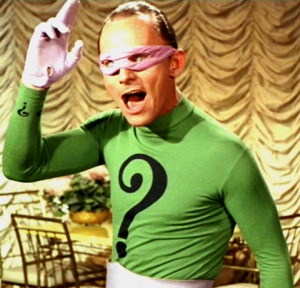 According to an Associated Press report in the Detroit News, the unique appearance of the Caped Crusader’s car was found to make it a character in the story and therefore couldn’t be copied without permission from DC Comics. 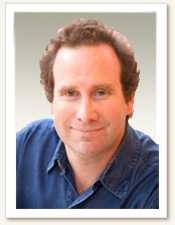 The legal battle between Mark Towle and DC Comics goes back years. Towle’s business, Gotham Garage, offered replicas of the 1966 Batmobile from the Adam West TV series and the 1989 film version. They were priced around $90,000, according to AP. The original sold for $4.62 million at auction in 2013. Towle’s lawyer argued that the Batmobiles were simply cars and couldn’t be protected by copyright. In the earlier finding against Towle, the US District Court judge disagreed and defined the Dark Knight’s ride as more than just a vehicle but as a character in Batman’s tales. As you may know, if you’ve been following this blog for awhile, for the past four years I’ve been defending Mark Towle of Gotham Garage in a lawsuit brought by DC Comics. Mark is one of the leading purveyors of replica automobiles in the country, and he was sued by DC for copyright infringement for making life-size, working replicas of the 1966 and 1989 Batmobiles. What Mark does is absolutely allowed under U.S. Copyright Law because Congress specifically stated that the design of an automobile (any automobile, even the Batmobile) is not protected by copyright because it is a “useful article” and “useful articles” cannot be copyrighted. Unfortunately, when we took this argument to the 9th Circuit Court of Appeals, the 9th Circuit created a huge exception to this rule, stating that if the car could be considered a “character” then it was protected by copyright, despite the fact that Mark did not copy any of the Batmobiles from the comic books. So, to right this wrong, myself, along with Ed McPherson and Tracy Rane of McPherson Rane filed a petition for cert yesterday, asking the U.S. Supreme Court to correct this injustice and overreach of copyright law. I will let you know when we get word of their answer. Here’s a link to the Petition for Cert. And here’s a link to the documents in the Appendix (for those really interested). Finally, the Hollywood Reporter did a write up on the petition and you can read that here. Towle believes that in addressing his replicas, the courts took shortcuts by skipping past an analysis over specific automobile parts — arguably the “expression” — to figure out what exactly has been copied. There’s the chance, he thinks, that when you break down the analysis this way, a court would discover much of the Batmobile to be either undeserving of protection or not owned by DC. What’s left, he asserts, should form the basis of a review of substantial similarity. In other words, a court might hold that a jet-engine afterburner to be utilitarian, and be left with something like a bat-themed fender to figure out whether there’s been impermissible copying. Oh, me? What do I think? Well, walking through the decision… and related ones closer to home … certainly, the catcher has run through the rye for long enough, despite my protestations, to once and for all settle the question of whether or not individual characters – the human kind – are protected by copyright. They are. And, as only a court sitting California could say, a car has long been held to be enough like a human character to be protectable too. We read the precedents as establishing a three-part test for determining whether a character in a comic book, television program, or motion picture is entitled to copyright protection. First, the character must generally have physical as well as conceptual qualities. Second, the character must be sufficiently delineated to be recognizable as the same character whenever it appears. Considering the character as it has appeared in different productions, it must display consistent, identifiable character traits and attributes, although the character need not have a consistent appearance. Third, the character must be especially distinctive and contain some unique elements of expression. It cannot be a stock character such as a magician in standard magician garb. Even when a character lacks sentient attributes and does not speak (like a car), it can be a protectable character if it meets this standard. Oh, you mean ANY Batmobile! We now apply this framework to this case. Because the district court here addressed this question in detail, we consider its factual findings in analyzing this issue. First, because the Batmobile has appeared graphically in comic books, and as a three-dimensional car in television series and motion pictures, it has physical as well as conceptual qualities,” and is thus not a mere literary character. Second, the Batmobile is sufficiently delineated to be recognizable as the same character whenever it appears. As the district court determined, the Batmobile has maintained distinct physical and conceptual qualities since its first appearance in the comic books in 1941. 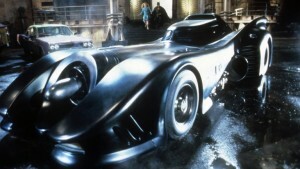 In addition to its status as “a highly-interactive vehicle, equipped with high-tech gadgets and weaponry used to aid Batman in fighting crime,” the Batmobile is almost always bat-like in appearance, with a bat-themed front end, bat wings extending from the top or back of the car, exaggerated fenders, a curved windshield, and bat emblems on the vehicle. This bat-like appearance has been a consistent theme throughout the comic books, television series, and motion picture, even though the precise nature of the bat-like characteristics have changed from time to time. 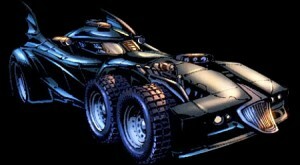 Equally important, the Batmobile always contains the most up-to-date weaponry and technology. At various points in the comic book, the Batmobile contains a “hot-line phone . . . directly to Commissioner Gordon’s office” maintained within the dashboard compartment, a “special alarm” that foils the Joker’s attempt to steal the Batmobile, and even a complete “mobile crime lab” within the vehicle. Likewise, the Batmobile in the 1966 television series possesses a “Bing-Bong warning bell,” a mobile Bat-phone, a “Batscope, complete with [a] TV-like viewing screen on the dash,” and a “Bat-ray.” Similarly, the Batmobile in the 1989 motion picture is equipped with a “pair of forward-facing Browning machine guns,” “spherical bombs,” “chassismounted shinbreakers,” and “side-mounted disc launchers.” Because the Batmobile, as it appears in the comic books as well as in the 1966 television show and 1989 motion picture, displays “consistent, identifiable character traits and attributes,” the second prong of the character analysis is met here. that the Batmobile is a character that qualifies for copyright protection. The court then went on to rule on a number of other important issues, including ones relating to the chain of ownership and the fact that the replicas were derivative works, and that defendant’s replicas were therefore infringements. And it was not good for the defendants, not good at all. Okay, so what do I think? Well, as I was saying. One thing about a Batmobile is that whenever you’re consuming a Batman “vehicle,” regardless of the medium, you do, indeed, understand that – regardless of the variation – when Batman gets in “the Batmobile,” it’s “the Batmobile.” So I do follow the court’s reasoning here. It’s always “the Batmobile.” It lives, grows and evolves as Batman moves through time, setting and technology, it seems. Having said that, I can’t really say that I see anything in the Copyright Act that accounts for that, you know? But, again, I’m the guy who couldn’t see Holden Caulfield in there either, and everyone seems to agree he is most definitely in there. And we are clearly past the age when having your car customized to look like a Batmobile would be deemed an homage to the Batman business and a free promotion of that line of business instead of an infringement. No, I get it. It’s a form of rent and DC is the landlord. The Batmobile replica is surely a derivative work, and pay up, says DC. But can I get behind Larry’s “useful articles” argument at all? It’s hard, because I was on the wrong end of that very one myself once, and frankly I was not very pleased at all by it, especially when only two judges of the Second Circuit even bothered to show up for my argument. Eric Gardner thinks this one may not get all that much further. Let’s be clear: The chances the Supreme Court picks up this case are probably more slim than Christian Bale reprising his role as Batman. The high court only grants a few of the thousands of cert petitions it receives each year, and there’s not much of a circuit split on this issue. Towle tries to manufacture one by arguing that “the law in every circuit except for the Ninth Circuit is that the design of an automobile, like the design of any other utilitarian object, is not eligible for copyright protection,” but it would be a lot stronger if he could explicitly point to a case elsewhere in the country where a judge ruled out copyrighting an automobile character. Though it doesn’t mean much, the case has been assigned to Justice Anthony Kennedy, who once consulted with IP attorneys to see whether the separation of powers could be patented. It will be distributed to a conference of justices for a vote on whether to take up the case. The odds are slim, but there’s an entertainment factor (see the full petition full of Batmobile pictures) and the Batmobile case could draw some friend-of-the-court briefs from law professors and others. I like these questions. Because the fact is, DC Comics v. Towle does, in fact, extend copyright very far, in a lot of directions, resting on fiery, dual exhaust, jet-shooting flaming penumbras extending far beyond anything inscribed in the statute. Who says that just because Hollywood wants it, it should get it? Who says just because the logic is not all that bad, maybe even arguably linear, that Hollywood should get it? Who says that just because I got hammered on the useful articles argument, that Larry and his client shouldn’t win by it? UPDATE: Ninth Circuit says. Cert denied. Ron, it’s the Batmobile when Batman gets behind the wheel. But when some rich schlub gets behind the wheel, it’s not the Batmobile, it’s just a cool looking car. I wanted to say, but wait: Towle isn’t making Batmobiles (and he certainly isn’t writing about them or making comic books about them). He’s making cars that look like them. You can’t make real Batmobiles at all! As you say, only Batman can make one or, by driving one, certify The One as official. Good. Except for the part I glossed over in my post, because I got tired, yes, and also, damn it, this chewed up my whole afternoon already: The derivative work ruling. I have a whole problem with the replica-car line of cases, and I keep thinking a wrote a post about that once, but I guess I just thought I wrote it, but I never wrote it, and anyway, it’s about real cars, and this would, it seems, be even more so. Well, that’s the thing, then. Derivative work, right? No bull? To prove copyright infringement, the plaintiff must prove copying of PROTECTIBLE elements. Towle only copies the design of the car which is not procted by copyright. Once you remove the design of the car from the analysis, what is it that Towle copied? This is exactly what I was thinking. There doesn’t seem to be anything particularly distinctive or as you said, protectable about the Batmobile. I mean, without the name attached, is just a long, curvy, black car. And even if you could identify some distinctive traits (the wingish things on the back, perhaps), they wouldn’t be consistent across all the iterations of the Batmobile. So basically, the whole thing is just stupid. The case, not the Batmobile – the Batmobile is totally awesome.